After initial claims circulated saying that the people of Puerto Rico were being denied the ability to use food stamps to purchase ready-to-eat hot foods, reports now say that a waiver has been granted so that the people who have had their island torn apart by Hurricane Maria can use food stamps to purchase prepared food. The Hill reports receiving a copy of a letter from the U.S. Department of Agriculture, dated Sept. 30, which indicates that recipients of the Nutritional Assistance Program—the island’s version of food stamps—will be able to use their benefits to purchase prepared and hot food at any store through November. Because NAP benefits are intended to be used in grocery stores to purchase food that can then be prepared at home, recipients are normally prohibited from purchasing hot and already prepared foods like sandwiches, pizza or soup. USDA officials recognize that with widespread power outages in Puerto Rico, it is impossible for most people on the island to purchase and prepare food at home. 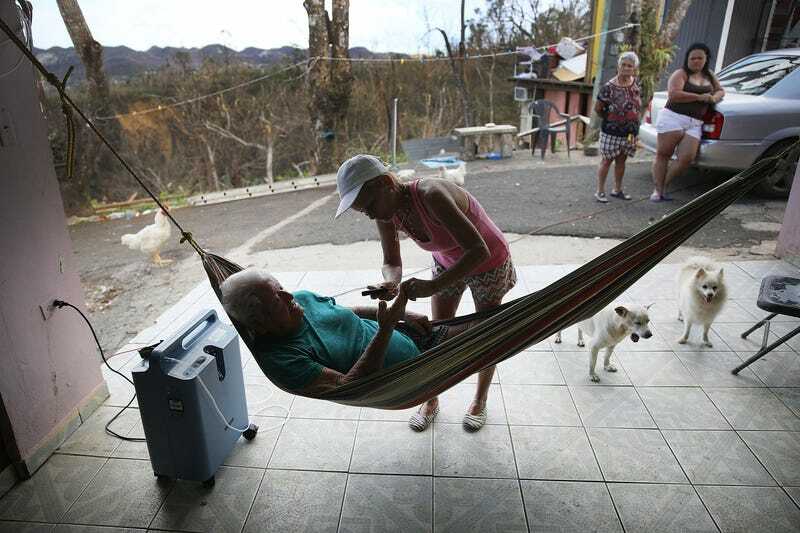 Federal figures show that nearly 1.3 million people in Puerto Rico—almost 40 percent of its population—are on food stamps, The Hill reports. They receive 20 percent of their benefit in cash, an amount that current legislation was due to drop to 15 percent as of Oct. 1. According to The Hill, USDA officials said that they denied a request to increase the cash portion of the benefit to 50 percent, and instead allowed the 20 percent cash portion to remain in effect for two more months. “While we are able to provide some flexibility for NAP in a disaster response, there is a need to maintain the overall intent of the NAP as defined in the authorizing legislation,” the letter read.